Does anyone know how Murray lake (near coldwater) is doing this year. is the road clear? ice off? fishing good? Looking for some feedback from people. Over the last 5 years I have really struggled in May for really good fishing days. I generally troll with all kinds of gear. I don’t use a fly rod doing traditional fly-fishing . 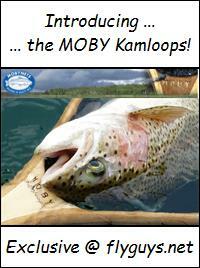 I fish all over , the cariboo chilcotin, Merritt, Kamloops, Princeton areas. Probably fished 40 days in May last 5 years and only maybe 5 days with lots of action. Lots of action for me is catching around 3 to 5 fish an hour. When I’m out I don’t see a lot of other people doing great as well in May. This is a limited sample because I don’t hit Edith,Roche or other lakes in May that are really busy. Places I have has success in May are Fawn, Greenlee, and Raven. I troll a variety of flies, lures, and bait depending upon the lake. What I am asking you is do you do well in May compared to the other open water months ? Maybe May demands a real specific hatch matching that I don’t do ? I live in lower mainland and there are places here to go where I am successful in May but catch size is under 2lbs usually. I’m not looking to change my whole approach since the other 5 months I do really well. But I need some tips for May. Might need to get a chironomid setup for my spinning rod and work on that during May. Even when fishing is slow I still have a good time with my son. Always learn something and will continue to try to improve. Those are great feedback. I usually troll leeches, spratly, pumpkinseed. I will try the fly you suggested and will try Chiron a bit as well. Yes I’m lucky with my fishing . Get out 35 to 40 days a year. Deesee is bang on. 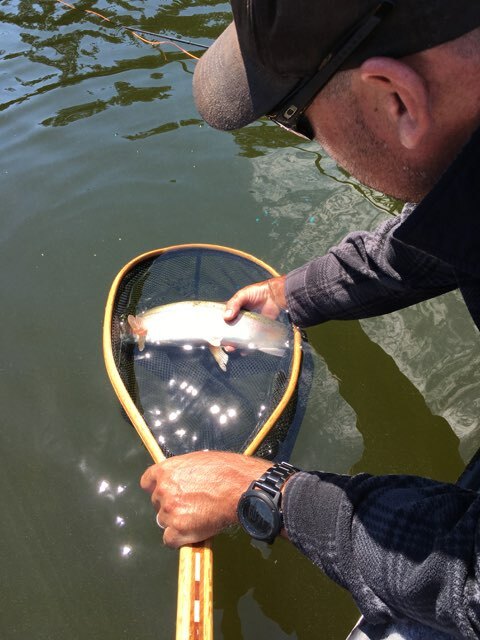 At many lakes during the month of May, in particular, the trout get really focused on chironomid hatches to the point that they will ignore all else. This can also happen during mayfly, damsel and dragon emergences but they seem to get extremely fussy during the chironomid hatches. So I troll around and do one lap of the lake and see a few spots where the fish are rising. 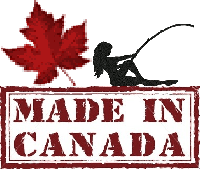 I’ve seen the how to’s on chironomid fishing. I have a fish finder showing me the depth the fish are at. 2) which chironomid flies to use when i haven’t caught anything to pump and I’m a newbie to the insect cycle. Is there a couple go to ? See mention of chromie a lot. Thanks for your input. Going up to chilcotin next weekend and I usually do well early.june . Hope to catch a 7 to 10lb trout at a couple of my favorite spots. If there are shucks on the water, I may use those to determine the size I start with. If not, I go size 14 to start – maybe size 12 later into June. Once I catch a fish that is big enough to pump, I usually say, “Wow, I was way off! What ever made it decide to eat this thing?” – then I put the right one on. 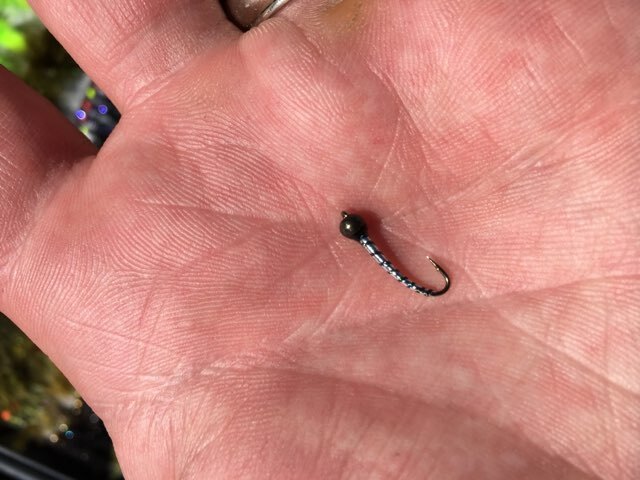 To clarify – when I say size 14, I am referring to the shorter scud hooks, not the 2XL curved nymph hooks – but that is just my preference. Went to Raven in the afternoon. Always do well there. Son and me caught a dozen 1 to 3lb trout in 2 hours. Nice place to camp. Today in tatla lake and hit my favorite lake thats near here. Caught a 4,3.5 and 3lb. Buddy’s son caught 3lb. 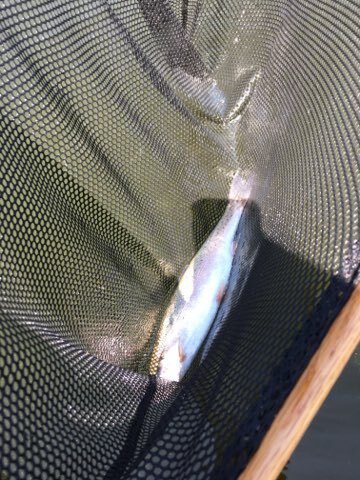 My friend had around 6lb break off hook 3 feet from the net. He forgot to put tip down and had rod straight over top of fish. I learned that lesson the hard way too. We were trolling with spinners but fly guys were using wide range. Chironomids were near end, some using leeches, and half backs. Although it’s a long drive chilcotin is worth it. If your looking for beautiful country, adventure (grizzly bear crossed road in front of us this evening) and big trout it’s here. Thanks for the report Chaluga. It definitely makes me want to go explore lakes far away from home. 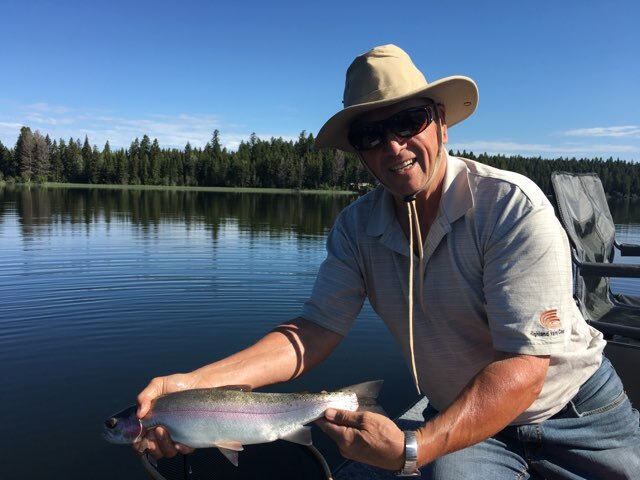 I have had a hard time finding a spot near Merritt/Kamloops that you can consistently catch 4 to 5lb trout. Have several to catch around 2lb. I know there out there I just have to find em. 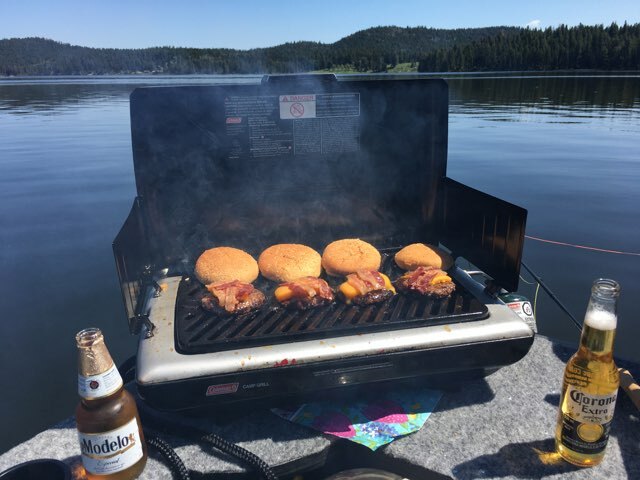 Have one I will try next week near Logan lake that I will try. Also don’t like trolling with a dozen boats around me so that makes it a bigger challenge. Ha nice can’t wait to see the pic! I have heard that Big OK is returning to its former glory. Since it was stocked with catchables the year after its bigger kill, those may all be pretty good size. Can’t keep them though. Anyone been up there this year? It has been a few years for me. Mostly wondering if the last bit of the road down to the lake is as rough as usual. Also wonder if the rest of the journey would be possible with an SUV? I could walk the tube down the last rough bit if needed. Just a long way to go to find I can’t get in. I’m assuming that when people.talk of secret lakes that getting big trout is consistent. My secret lake I’ve been too 8 days and every day I have fished it we have either landed a 4lb plus or had one to the boat and seen it, or had the rod almost ripped out of my hands. A 2 to 3 lb trout doesn’t take out line screaming from my reel with my drag set where it is. Bcflyguys pm me and I’ll let u know where it is. I’m not expecting to find lots of lakes this good. I would like to find a handful more. Best lake in Kamloops area I’ve found for this is Bleeker. Been there 3 times.and Everytime I’m there another boat landed a 5lb. I lost one 3 to 4. Best in cariboo was Simon. 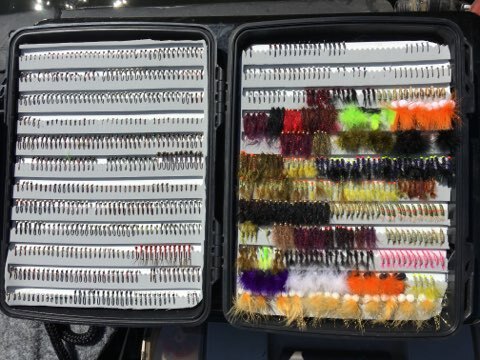 These are all know lakes for bigger trout so I’m not letting the cat out of the bag. I know bigger lakes like.sheridan and bridge have big ones but my boat setup isn’t good for big lakes. I’m taking road trip to a new level next month. Visiting my brother in Whitehorse and fishing on way up and back. Plan on hitting Charlie, Muncho, dezadeash, Braeburn, and Fox. Going after lake trout, Pike, rainbow. If anyone has fished these lakes let me know. I’ll give a report when I get back. Thanks for the report Don! Anyone have any theories on what is going on at Isobel? Have been there several times and while fish show up on the finder there is no activity (bites, fish rising). Have heard the same thing from other folks. Was there when the ice came off and saw no sign of dead fish from winter kill. Also, hasn’t been stocked yet this year, while it was done May 25th in 2017. 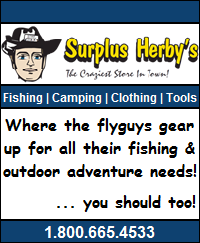 First I want to thank fly guys for posting the Glitter Thread Chironomid pattern. A week ago I was fishing one of my favourite lakes. I caught a fish on an ice cream cone chironimid and pumped it’s stomach. It had lots of size 18 blacks and a few size 16 gun metals. I decided to go with the gun metal. I changed flies and I was off to the races. I landed 6 more fish on a lake that is known for being tough to fish but capable of producing large rainbows. Two of the fish were at least 8 pounds. At the end of the day I had a closer look at the fly I was using and realized it was the Glitter Thread. I have fished the lake three times since with the glitter thread and had similar results. Each time there were other people fishing with little or no luck. Awesome thanks for the feedback Gunderj! For those that missed it you can find the GTC vid here 🙂 ……. 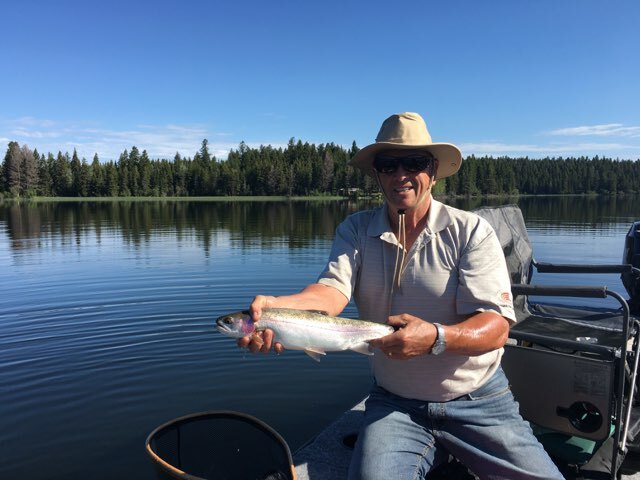 I have fished Marquart Lake regularly over a number of years, and while she is very generous with her small Rainbows, 10 to 17 inches, I have yet to catch a Brook Trout; even though Triploid Brooks have been stocked for years. My question; has anyone caught a decent sized Brook Trout out of Marquart? I was at Marquart for the Mother’s day week-end… with my mother! It was the first time I was fishing this lake. After mapping a bit of the lake, I kinda figured where the brookies were holding on that day (which is the key I find so far with brook trout fishing). They were right by the walk in campgrounds at the other side of the lakes, feeding heavily on chironomids in 8-9 feet of water, just on the weed edge (that was beginning of May). One funny thing is that there were both brookies and rainbows feeding in the same spot. We did not catch any rainbows bigger than 2 pounds, however, we landed a healthy 2 pound brookie and another one that must have hovered around 4 pounds. Lots of smaller fish to filter through but there are some good size brookies in there. Fish for Steven, thanks for the encouragement, I will try again to-morrow. Is the boat launch at marquart still a mud bog ? Fished there couple of years ago and it took 20 minutes to walk thru almost quicksand to get to water. Chaluga, you are in for a surprise, the heavy snows of the past two years have returned both Marquart and Lundbom to their historic levels; no more muddy shorelines. I got a tip from a friend that guys were doing okay on chironomids at Roche a few days ago. I decided to try it out with my Father Inlaw today. I’ve never chironomid fished Roche in July let alone 32 degree heat. We got up to the lake at 8:30am and headed out. There wasn’t a breath of wind on the lake. The water temperature was 61 degrees and the visibility about 5-6’. It looked like a light algae bloom had just started. There were hundreds of adult damsels cruising along the surface and lots of shucks in the reeds at the West boat launch. We fished the first shoal across from Monster Bay in 24’ of water. There was the odd chironomid hatching but not much marking on the fish finder. My Father Inlaw hooked a nice 2 pound, 20” Pennask after about fifteen minutes. I hooked and lost two and he got one more before we decided to try another spot. We were both fish size 14 chromies with black beads and black rib. We then tried some damsel patterns in Monster Bay. I got a light take but didn’t hook up with anything. After thirty minutes we tried the deep 36’ trench right out from the boat launch. We both had our indicators go under twice each but missed 3 out of 4 of them. We got one within 5’ of the boat and lost him there. It looked to be about the same as the first one around 2 pounds and twenty inches. After BBQ Burgers we headed over to the entrance to Carl’s Flats. We set up in 14’ of water about 100’ off the right shoreline. This is one of our favourite spots in May. In hindsight, we should have just gone straight there at 8:30am. We landed 4 beautiful 2-2.5 Pennasks and lost several more within an hour of anchoring. The action was all on the same black bead, black rib chromie under an indicator with a #10 barrel swivel. 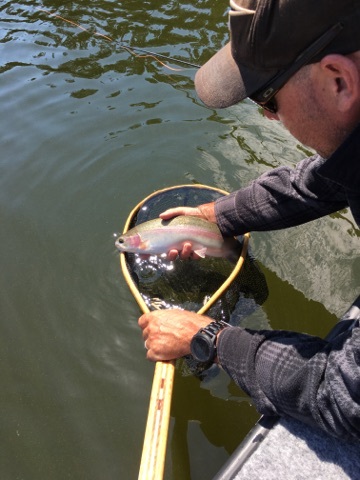 I never would imagine having a great day of chironomid fishing in the heat at Roche in July. We saw some Caddis scurrying across the surface and a few Mayflies hatching as well. The fish we caught all had a mix of chironomids and olive gammarus shrimp in them. The lake temperature was up to 69.2F when we left. Hopefully, it’ll stay good for the weekend. There were less than a dozen boats out on the entire lake today. Was in Fort St. John couple days ago and fished Charlie Lake in the morning . Really fun time with Walleye hitting like crazy. Caught near a dozen in couple hours. Locals told me area by golf course runoff was good and it was for fishing, not for viewing. Water looked like green sludge. Caught one small pike. When we went back to boat launch guy was casting from shore and caught around a 22″ pike in 5′ of water. Pub right near lake is good ! PLEASE PLEASE….Anyone been to Big OK (Island) Lake this year? Wondering how the fishing has been, but more importantly – how the road is getting in. Beautiful day at Pine Lake Yukon. Gorgeous spot and great fishing. Caught 5 lake trout and 5 Pike. Can someone remind me how to post pictures and I will.